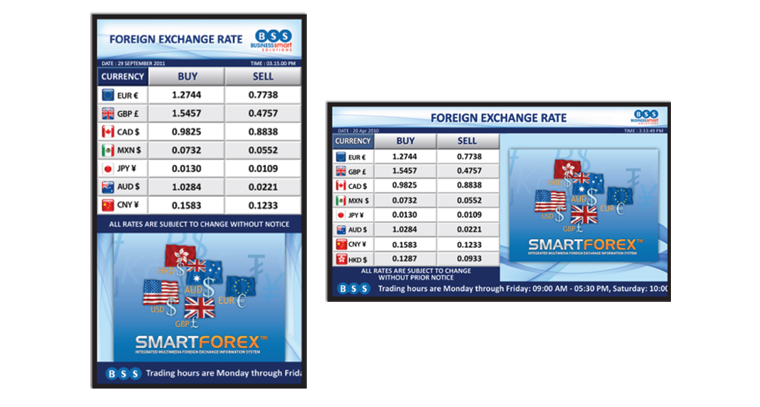 What makes SMARTFOREX® so smart? Your privacy is very important to us and Business Smart Solutions (BSS) will always act to protect your information. BSS takes this responsibility seriously and is very careful about how and when your personal information is collected, used and shared. This statement tells you in general terms what our commitment is, what personal information that we collect, why we need to collect personal information, how we collect this information, and who we may share that information with. We will always make sure that we handle your personal information securely and carefully and will only use your personal information when it is necessary for us to deliver you a service or perform other necessary business functions and activities. BSS will not use your information for purposes unrelated to the services we provide, unless we first obtain your consent. Wherever possible BSS will give you the option of interacting anonymously with us provided it is practicable and lawful to do so. We will always use fair and lawful means of collecting personal information. In most circumstances we will collect personal information directly from you. Different personal information is collected for different reasons. The personal information we collect is in most cases supplied directly by you when you give us your details, apply for position with us or provide feedback to us. Personal information can include information such as your name, phone, email address, and contact details. BSS collects and uses personal information to understand your needs and interests and to serve you better. How we collect this information? The personal information we collect is in most cases directly supplied by you when you give us your details, or provide feedback to us. BSS has no intention of selling your personal information to other parties, unless consent has been sought from you first or if we have already told you about the disclosure. We will take all reasonable steps to store your personal information securely. In particular, we want you to feel confident in dealing with us on the internet. Your personal information will not be released unless the law requires or permits it or your permission is given. We provide a secure environment and a reliable system but you should be aware that there may be inherent risks associated with the transmission of information via the Internet. For those who do not wish to use the Internet, BSS provides alternative ways of obtaining and providing information. BSS is not responsible for the privacy practices of sites that are linked to this site via hyperlinks, banner advertising or otherwise. Please take care at all times to check whose site you are visiting. BSS is committed to complying with the federal Privacy Act 1988. Based in Sydney, our team represents a customer-focused ethos, and over 30 years' IT and business experience across banking, self-service and retail. Our areas of speciality cover Foreign Exchange Rate Information System, Queue Management, Cheque Processing, Cash Processing and Multi-media Information Display.